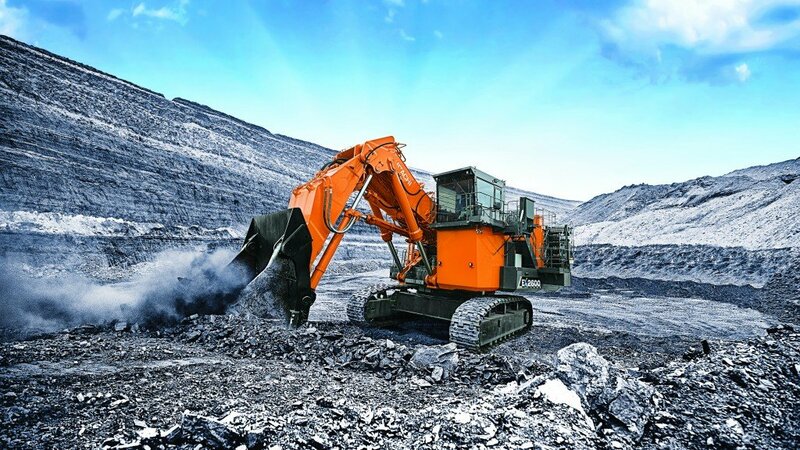 "The EX-7 Series takes Hitachi's mining machines to the next level," said Brian Mace, mining product marketing & applications manager, Hitachi Construction Machinery - Americas. "The combination of fuel-saving features on the EX2600-7 and EX5600-7 will help improve our customers' efficiency while helping them maintain the same productivity levels they have come to expect from the EX-6 Series mining excavators." Within the EX2600-7 and EX5600-7, Hitachi's Fuel Consumption Optimization (FCO) technologies reduce fuel consumption up to 8-10 percent versus the previous models (EX2600-6 and EX5600-6) through engine options and hydraulic system improvements. Customers can choose from a Cummins or MTU EPA Final Tier 4 engine option. For non-regulated countries, customers can choose from a Cummins or MTU engine option that features fuel-calibration optimization settings that contribute to improved efficiency. The new EX5600-7 is engineered with Fuel Consumption Optimization (FCO) technologies, which contribute to improved efficiency. Operator comfort and safety is also enhanced with a best-in-class operation station that offers increased visibility and comfort with ergonomically designed controls to help increase productivity. Additionally, an advanced multi-display monitor helps improve the machine's performance and uptime by providing more accurate operating status information. The EX-7 Series also provides the option of AerialAngle, which is popular among customers and works as a 360-degree vision system. The system assists with noting equipment surroundings through a display monitor that combines a set of images captured by cameras positioned at different locations around the machine.